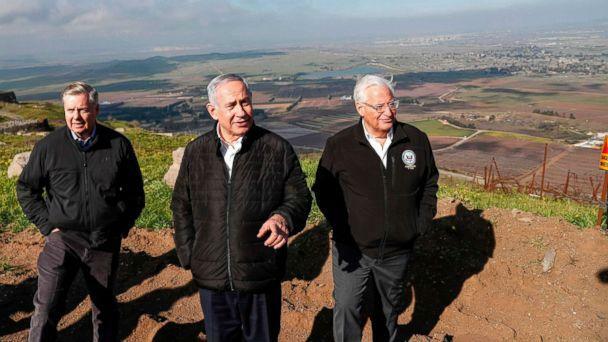 President Donald Trump on Thursday changed decades of U.S. Middle East policy with a tweet, announcing that "After 52 years, it is time for the United States to fully recognize Israeli's Sovereignty over the Golan Heights." The unexpected announcement comes just days before Israeli Prime Minister Benjamin Netanyahu visits the White House on Monday and speaks at the pro-Israel AIPAC conference in Washington. Within minutes, Netanyahu tweeted "Thank You President Trump!" The Trump administration has said it would not interfere in the election. 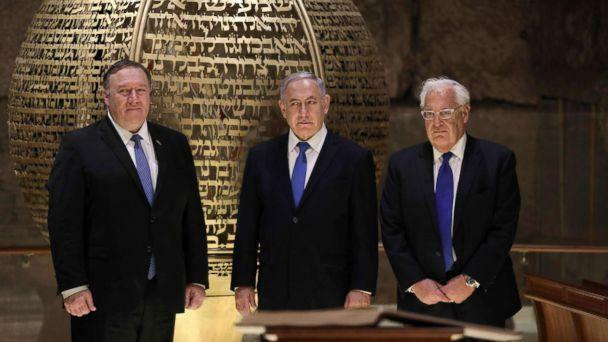 Netanyahu and Pompeo, who earlier Thursday made a symbolic visit to the Western Wall in Jerusalem, were about to hold a news conference when Trump tweeted. "President Trump has just made history," said a clearly pleased Netanyahu when the news conference got underway. "I called him. I thanked him on behalf of the people of Israel. He did it again," he said, referring to Trump recognizing Jerusalem as the capital of Israel and getting rid of the Iran nuclear deal. "Now he did something of equal historic importance -- and he did so at a time when Iran is trying to use Syria as a platform to attack Israel," Netanyahu said. 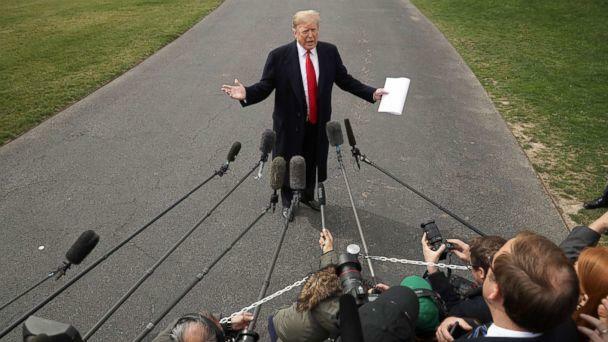 In an interview with Fox News Business, Trump sought to downplay any connection between the announcement and Israel's election on April 9. "No – I wouldn’t even know about that," Trump said. "Every president has said ‘do that.’ I’m the one that gets it done." The president said that the decision had been under consideration for a "long time." Netanyahu has repeatedly pressed for the U.S. to recognize Israeli governance in that region. Israel captured the Golan Heights from Syria in the 1967 six-day Arab-Israeli War. Netanyahu has since accused Iran of trying to set up a terrorist network from the area. Next week, Netanyahu will hold a meeting with the president and a private dinner at the White House.